View the The Source press page. See more about The Source Family. It was 1972, time of the cult-occult-commune explosion. By day, the Source Family served organic cuisine to John Lennon, Julie Christie, Frank Zappa and others at the famed Source restaurant. By night, in a mansion in Hollywood Hills, they explored the cosmos through the channeled wisdom of their charismatic leader, Father Yod. Father was an outlandish figure who had 14 “spiritual wives,” drove a Rolls-Royce, and fronted the rock band Ya Ho Wa 13, now considered by collectors to be one of the most singular psychedelic bands of all time. 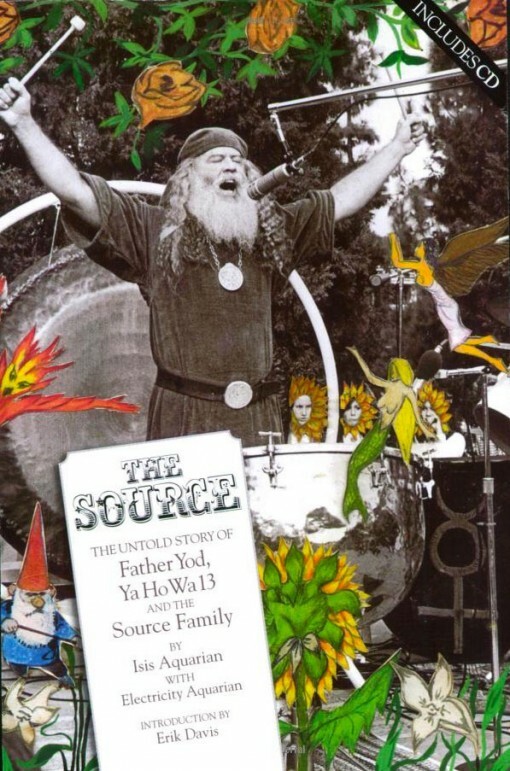 The Source Family’s true story—kept secret for over 30 years after Father’s spectacular hang-gliding death in 1975—is revealed here by the Family members themselves, with over 200 photographs and a full-length CD of rare Ya Ho Wa 13 live performances and Family recordings.